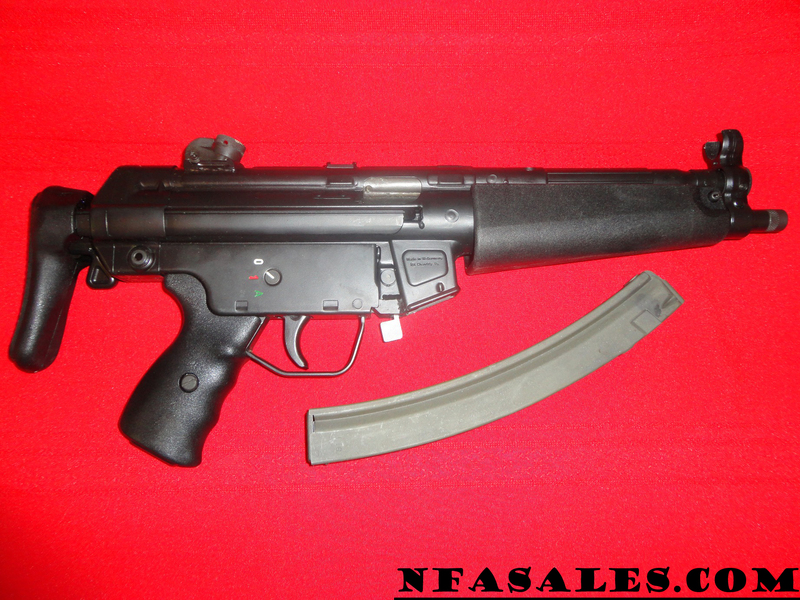 Whether buying or selling machine guns, call John Thedford toll free 1-866-NFA-1934 or email John@NFAsales.com. When you buy from NFASALES.com you become part of the NFA family. Every customer has the opportunity to join our VIP Member’s section, if you’d like to be featured on our website with your NFASALES.com weapon please send your photos & videos to John@nfasales.com. Below is a small sample of NFA firearms we have sold over the years. Read our return policy (the best in the business) and see why collectors and shooters rely on us for their machine gun purchases. We pride ourselves as one of the most honest and dependable dealers in the industry. To search for your gun hit control F and then put in your name or S/N. 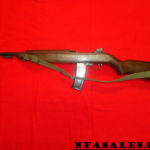 Thompson M1A1 S/N 285328 sold to our friend Jimmy. Thank you. MP5 S/N 8682. Sold-thanks Mark! SWD M11 S/N 860005697. Sold-thanks Chris. SWD M11/9 S/N 860012629. Sold-thanks Mr. F.
RPB M10/9 S/N B2128. Sold-thanks Mike. AC556 S/N 19103922. Sold-thanks Kelly. SWD M11/9 S/N 860014676. Sold to our friend Robert. Thank you. S&W 76 S/N U2456. Sold. Thanks Scott. SWD M11/9 S/N 860006893. Sold-thanks Steve. M16 Colt SP1 Conversion .223mm Thanks Anthony! 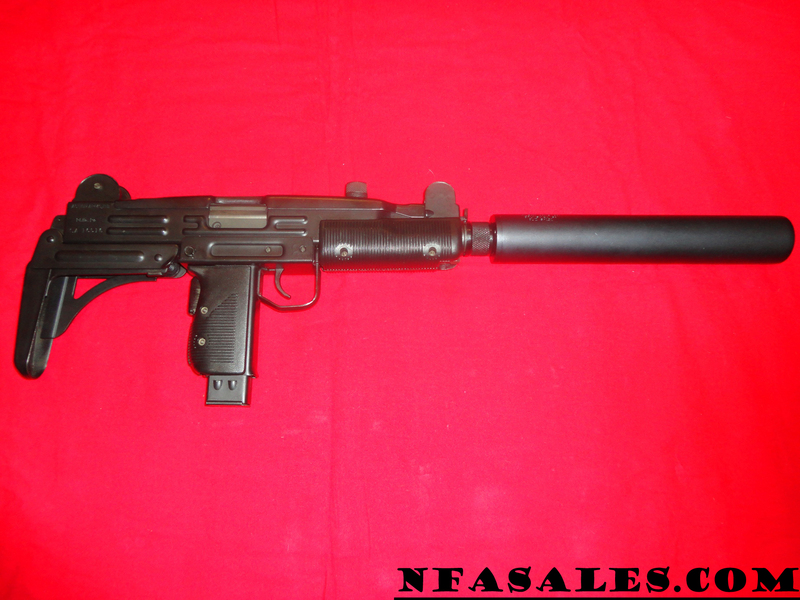 HK MP5 with Fleming sear S/N H1077. Sold-thanks Matt. Reising Model 55. S/N 86462. SOLD-thanks Eric. SWD M11 S/N 860009400. SOLD-thanks Stephen. 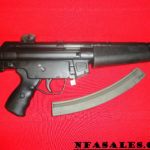 .45 PS MAC 10 S/N 13006573. SOLD-thanks Eddie. AC556 Sturm Ruger 5.56mm Thanks Garrett! Sterling MK VI S/N SA231JGB. SOLD! Thanks Mike! MP5K-N Sear H1536. New! Sold to our friend Pete. Thank you! 1921A Thompson Colt .45mm Thanks Gary! 76/45 Stemple .223mm Thanks Jay! Colt M16A1 S/N 9228103. Sold to our friend Jason. Thank you. AK S/N PF85001181. NIB. Sold-thanks Jack. PS M10/9 S/N 22000368 with Viper suppressor. SOLD-thanks Sam. Thompson Model 1928 S/N 905A. SOLD-thanks James. M16 Colt 5.56mm Thanks Modern Pawn! MP40 Germany 9mm Thanks Michael! Uzi with B&G bolt S/N 894. Sold-thanks Bob. M1 Thompson S/N M449A. Sold to our friend Matt. Thank you. SWD M11/9 S/N 860005696. Sold-thanks Davey. MAC 10 Powder Springs .45mm Thanks Brandon! Sten S/N BT147. SOLD-thanks Kyle! M16 conversion S/N Z6787 sold to our friend Don. Thank you. SWD M11 S/N 850002370 with Lage upper and suppressor. Sold-thanks Edwin. 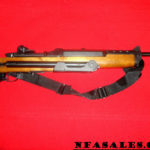 Madsen Model 50 S/N 44324. Sold-thanks Jay..
Powder Springs M10/9 S/N 22001734. Sold to our friend Jaye. Thank you! SWD M11/9 S/N 860010139. Sold to our friend Alan. Thank you. M16A1 Colt 5.56mm Thanks Arlo! AC556 S/N 19112435. SOLD-thanks Paul! SWD M11A1 S/N 853800804 sold to our friend Robert. Thank you. Inland M2 S/N 7395419. Sold-thanks Matt. AC556 Sturm Ruger 5.56mm Thanks Ian! PS MAC 10 S/N 22002644 sold to our friend David. Thank you! MP5SD HTA 9mm Thanks Clinton! AC556 Sturm Ruger .223mm Thanks Charles! SWD M11 S/N 860010162 sold to our friend Scott. Thank you sir! LNIB SWD M11 S/N 860011156. SOLD! Thanks Michael. SWD M11 S/N 860009196. Sold- Thanks Derrick! Taylor Sten tube S/N BT155. Sold-thanks Taylor. 1919A4 Ramo Manufacturing .308mm Thanks Bud! Uzi With Suppressor Uzi/Wilson Arms 9mm Thanks Jerry! 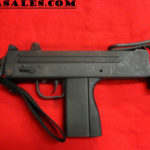 Uzi S/N 12703. 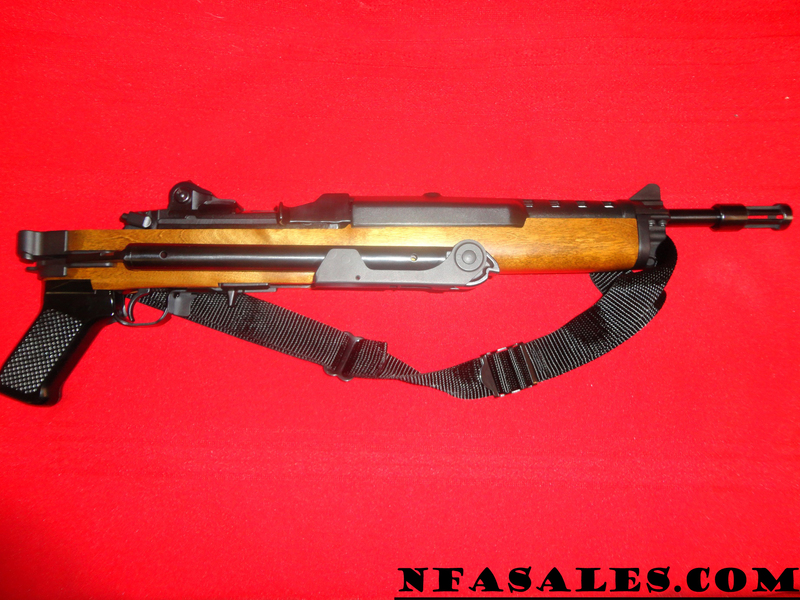 Full auto conversion sold to our friend Mr. F. Thank you! Thompson M1 S/N 68061. Sold to our friend Stewart. Thank you. 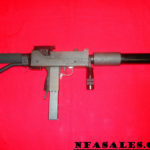 MAC 10/9 S/N 22002199 Powder Springs gun. Sold to our friend Billy. Thank you. 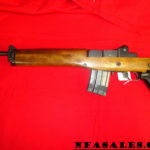 Colt M16A1 carbine S/N 9414314 sold to our friend Kris. Thank you. MP5 Fleming sear S/N H1537. Sold-thank you Jay. SWD M11/9 S/N 860011227. Sold to our friend Bob. Thank you. M11A1 SWD .380. Thanks John! 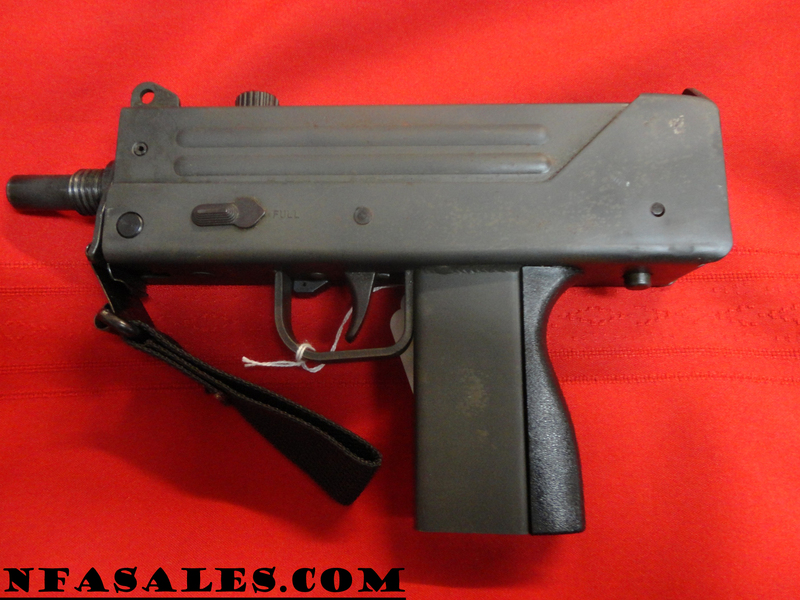 Group/Vector Uzi S/N 101194. Sold-thanks Joshua. Reising Model 50 S/N 110874. Sold-thanks Taylor. Sterling by DLO. S/N 800269. Sold to our friend “M”. SWD M11 S/N 860013800. Sold. Thanks Russell. SWD M11 S/N 860006650. Sold-thanks Todd. 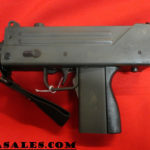 Vector Uzi S/N 101198. Sold-thanks Mark! Covert Arms .22 pen gun. -NIB. Sold-thanks Andrew. M6 S/N 1243. SOLD-thanks Dave. SWD M11 S/N 860013626. 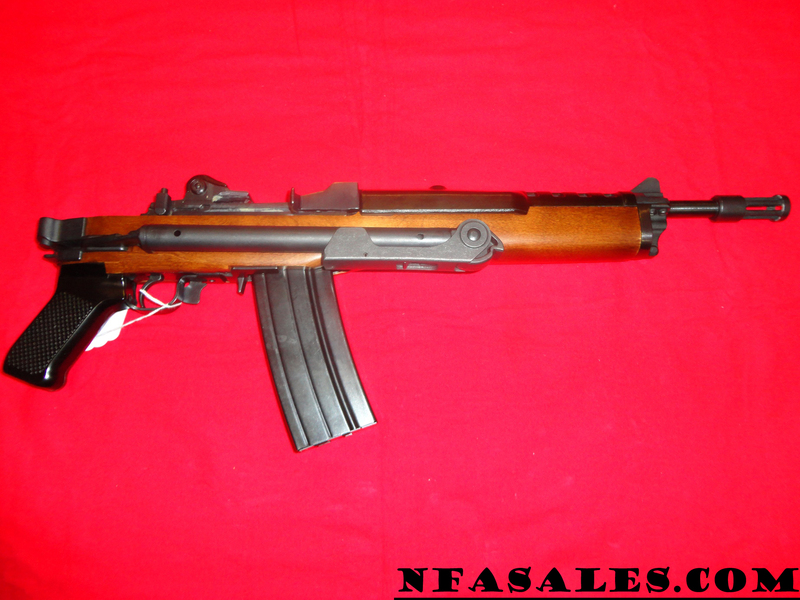 Sold-thanks Mr F.
Colt M16 S/N Sp196341 conversion. Sold to our friend Jaye. Thank you. MK760 S/N C0294. Sold-thanks Ty. 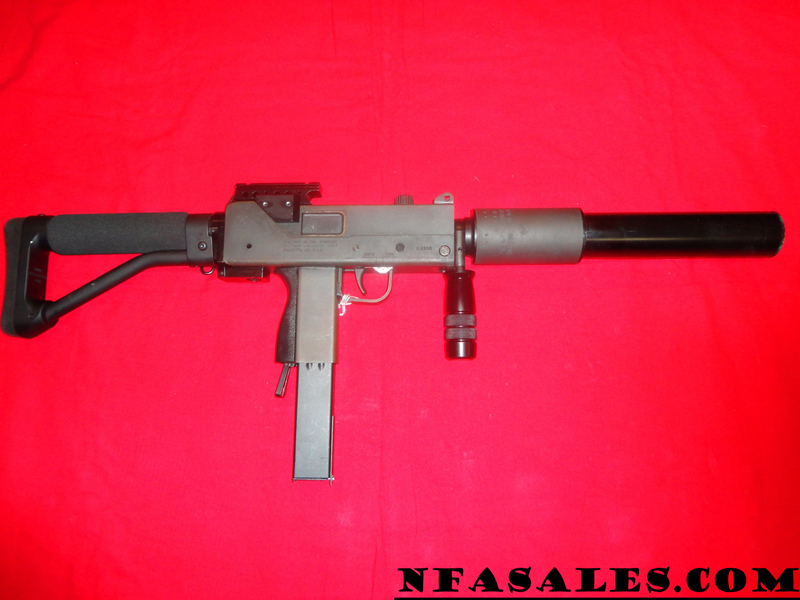 UZI bolt by B&G S/N 422 sold to our friend Hal. SOLD-thanks Hal. 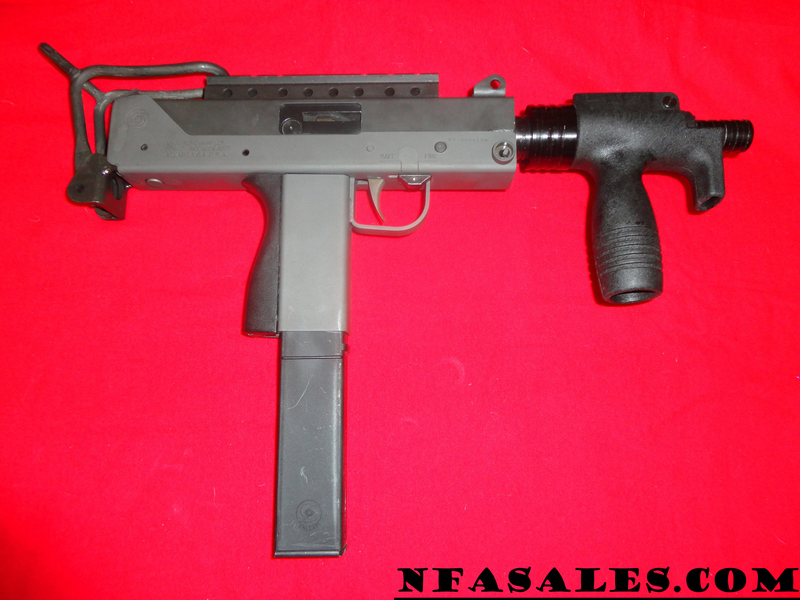 MAC 10 S/N 13003548. Powder Springs. Sold-thanks Danny. SWD M11 S/N 860011140. LNIB. Sold-thanks Jonathan. SWD M11 S/N 860009291. SOLD-thanks Nicky. Sterling Don’s Gun Shop 9mm Thanks Duane! 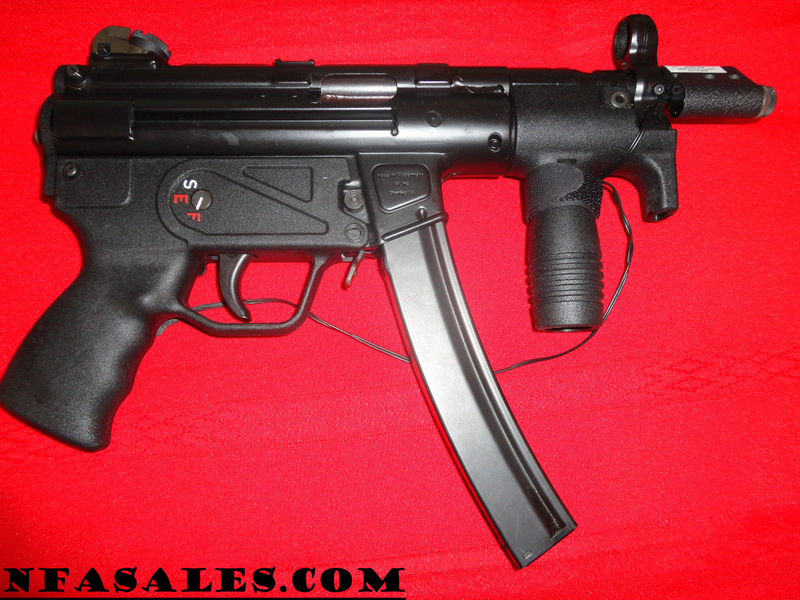 MP5KSD PDW S/N H2029 sold to our friend John. Thank you. SWD M11/9 S/N 860011483. Sold to our friend Derek. Thank you. MP5 H & K Host S & H Sear Sear Thanks James! Uzi S/N SA27584. Sold-thanks Mark. M16A1 Colt 5.56mm Thanks Mr.D! 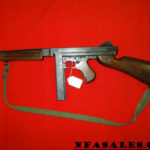 Mini-Uzi S/N 104069. SOLD!. Thanks Mr F.
Thompson M1 S/N 205654 pre-May sample. Sold-thanks Brian. Group/Vector Mini-Uzi S/N 102331. Sold to our friend Ronald. Thank you. Powder Springs M10 S/N 13001489 sold to our friend Michael. Thank you. SWD M11 S/N 860006436. SOLD-thanks Andy. M11/9 SWD 9mm Thanks David! 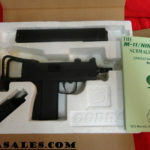 MAC 10 Powder Springs 9mm Thanks Hal! 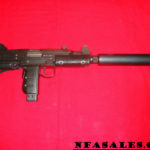 MP5SD JA Ciener Suppressor S/N 11890 9mm Thanks Mike! SWD M11 S/N 860011155. Sold-thanks Davey. MP5 with S&H sear S/N 1245. SOLD–thanks Michael. 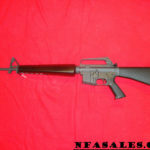 Colt M16A1 SN 9547443. Sold to our friend Gregory. Thank you. SWD M11 S/N 850007119 sold to our friend Wesley. Thank you! Micro Uzi S/N UP02057. Sold-thanks Tom. M11 SWD 9mm Thanks Richard! 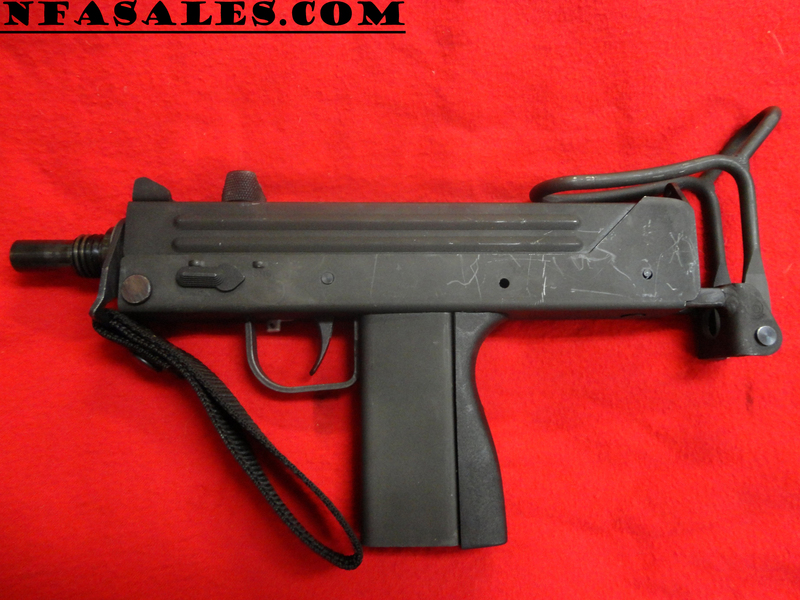 Uzi conversion S/N SA55899. Sold. Thanks Hal. American 180 SN B02045. Sold to our friend Greg. 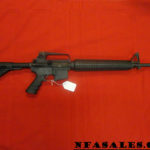 Colt AR15 Model 614 SN 406623 sold to our friend Brandon. Thank you. MP5 S/N 9071. SOLD-thanks Dustin. M11A1 SWD .380mm Thanks Andrew! M11 SWD 9mm Thanks Mike! Colt M16 S/N 9048818. Sold-thanks Adam. GRAD Knife S/N D0576. Sold-thanks Scott. M16 Colt .223mm Thanks Charlie! 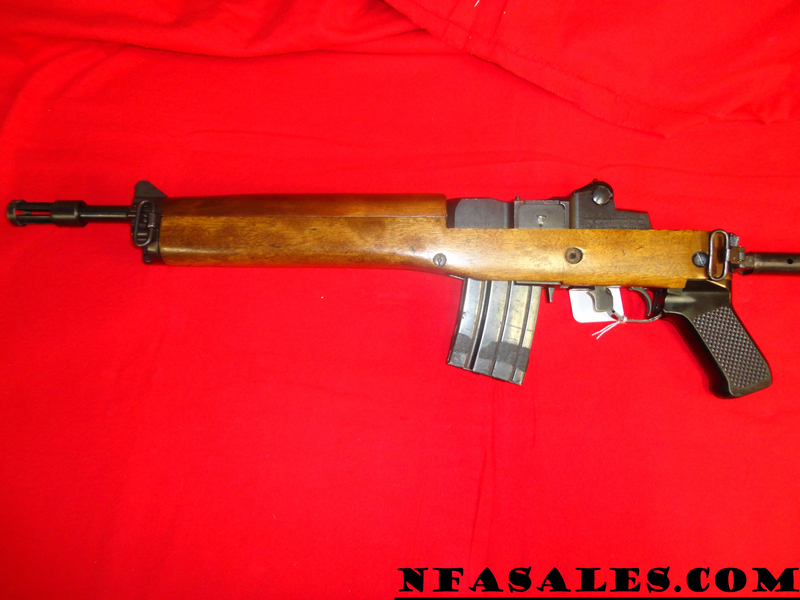 M1 Thompson S/N M619A. Sold to our friend Trevor. Thank you! Vector Mini-Uzi S/N 104016. SOLD-Thanks Frank! 10/22 Fleming .22mm Thanks Dan! MAC 10 Powder Springs S/N 13006255 .45mm Thanks Charlie! MAC 10 Powder Springs .45mm Thanks Alex! SWD M11 S/N 860006441 with Fat Cat suppressor. Sold to our friend Jeff. Thank you. Grease Gun S/N 610031. Pre-sample. Sold-thanks Mike. Sten S/N 11L2541. SOLD-thanks Josh. MP5 H&K Host Sear 9mm .223 .308 Thanks Raymond! S&W 76 S/N U609 in excellent condition. Sold-thanks Anders. 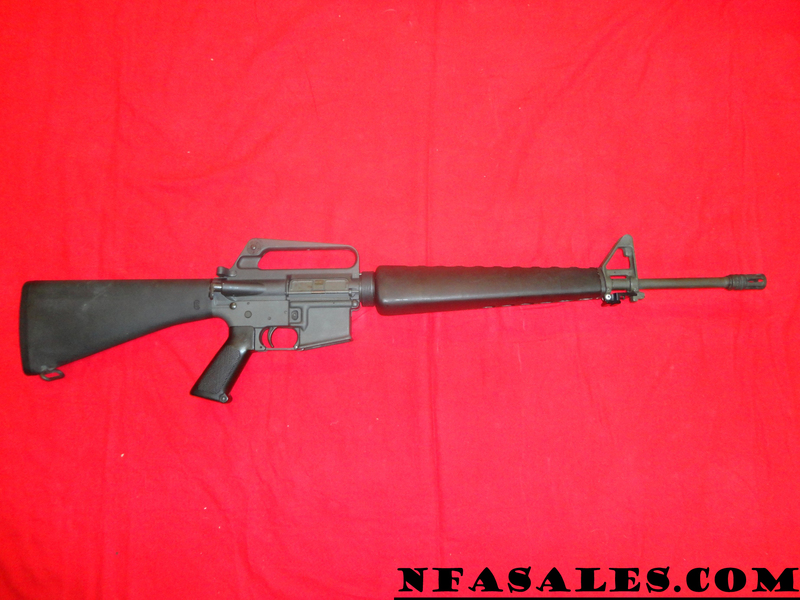 Colt M16 conversion S/N SP123221. SOLD-thanks Carl. SWD M11 S/N 860014900. SOLD-thanks Dean. M10 MAC .45mm Thanks Tom! MP5 Fleming sear S/N H3103. Super nice. Sold to our friend doc. Sterling S/N HF615 by Wilson. Sold to our friend Larry. Thank you. 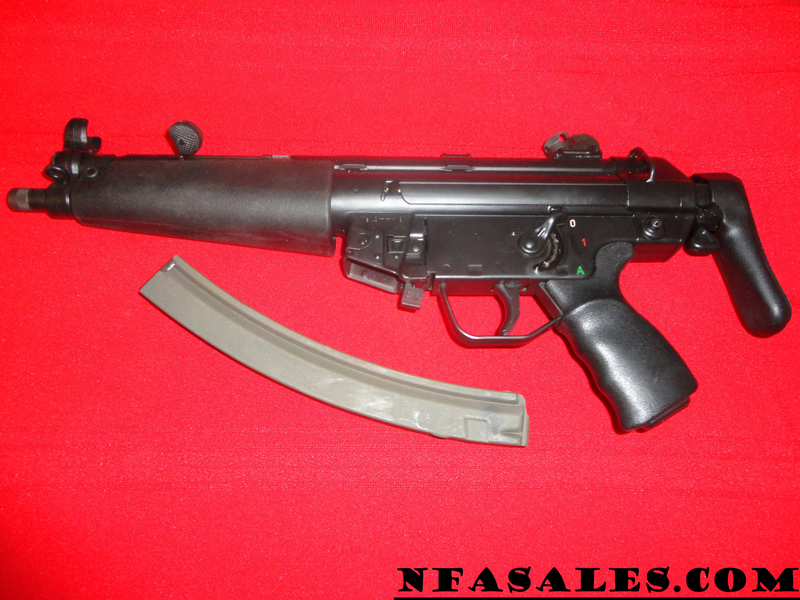 MP5 sear gun S/N 1769. Sold-thanks Greg! Model 50 H&R .45mm Thanks Mark! PS M10/9 S/N 23005021. Sold-thanks John! SWD M11/9 S/N 860013407. Sold-thanks TJ. MG34 S/N 9994A. Sold-thanks Russell. Stan’s Gunsmithing S/N 0002 .25 caliber pen gun. Sold-thanks Ross. Swedish K S/N L200. SOLD–thanks Dustin. 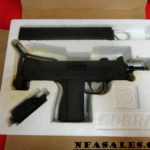 MAC 10 RPB 9mm Thanks JR! MP5 H&K Sear 9mm .223 .308 Thanks Jason! NIB MK760 S/N C0046. SOLD. Thanks Carl! 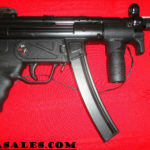 MP5 HK S/N 7625. SOLD-thanks John! MP5SD SBR 9mm .223 .308 Thanks Bud! SWD M11 S/N 860012489 sold to our friend Ron. Thank you! MP5 Fleming Sear 9,223,308 Thanks Jay! 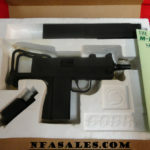 Uzi Vector Arms 9mm .22 .45 Thanks Greg! M16A2 M203 Colt Rifle .223 40MM Thanks Mark! LNIB SWD M11 S/N 860011155. SOLD! Thanks Joe. SWD M11 S/N 860007409 sold to our friend Tony. Thank you! M11/9 SWD 9mm Thanks Hunter! MP5 S/N 5522 sold. Thanks Richard. Tippman 1919 S/N AL131. Sold to our friend Dean. Thank you. M11/9 SWD 9mm Thanks Erix! M16 conversion. S/N SP147052. Sold to our friend Tayler. Thank you! MP5 S/N 3396. Billistics with swing down lower. Sold-thanks John. SWD M11 S/N 860005696. Sold-Thanks Stan. Colt M16A1 S/N 9560421. Sold. Thanks Colby. Colt M16A2 S/N 8016495. Sold. Thanks Mark. AC556 S/N 19112253. SOLD-thanks Mike. 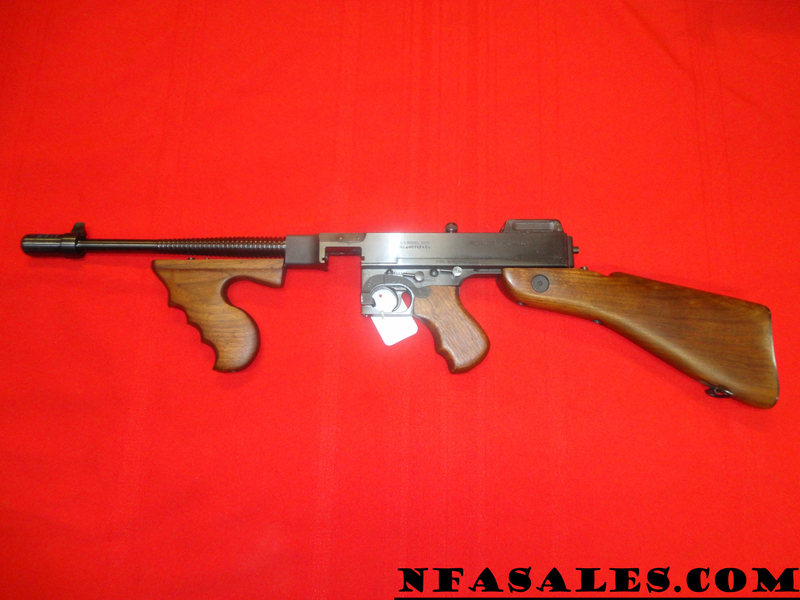 1928 Thompson Auto Ordnance West Hurley, NY .45mm Thanks James! Uzi S/N SA53260. SOLD-thanks Kyle. 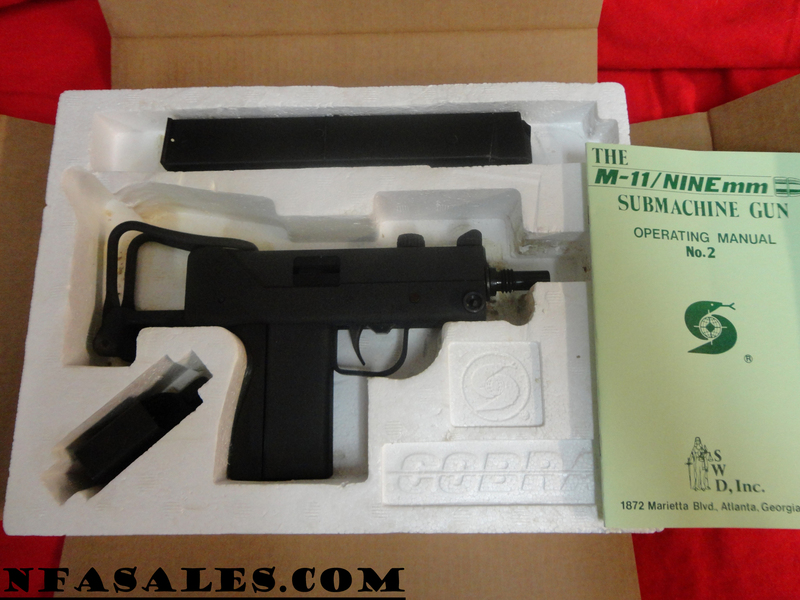 Uzi S/N SA22104GRE. Sold to our friend Frank. Thank you. SWD M11/9 S/N 860011687. Sold to our friend Vincent. Thank you. M11 SWD 9mm Thanks Jon! MK760 S/N P0022. New in box. Sold-thanks Richard. 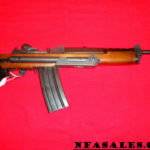 Real Chinese AK S/N 3167388. SOLD-thanks jimmy! M16 S/N Z6787 conversion. Sold-thanks Andy! 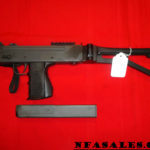 MAC 10 Military Armament Corp Powder Springs, GA .45mm Thanks Sam! Full size Uzi. NIB. S/N SA12703. Thanks Erix. 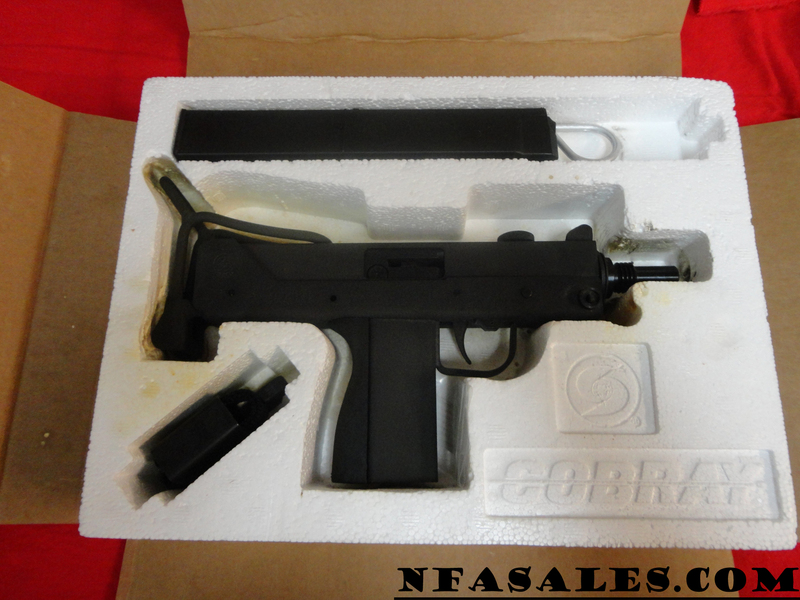 MAC 10 Military Armament Corp Powder Springs, GA 9mm Thanks Rick! FNC with S&H sear S/N 3557. Sold. Thanks G.
Thompson S/N 905A. SOLD-thanks Jimmy. 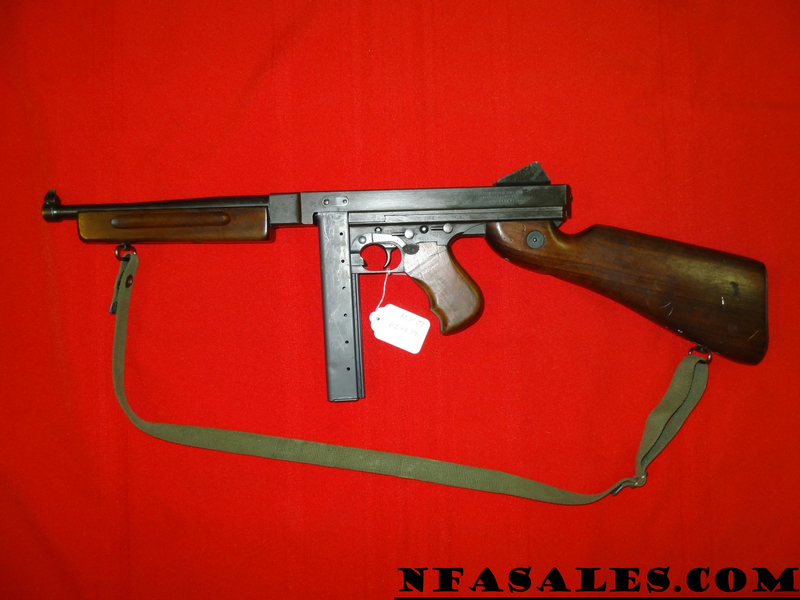 Uzi S/N 103166. Group/Vector. Sold to our friend David. Thank you. MAC 10 S/N 13001705. SOLD-Thanks Cody. 1919 S/N 8670066 by DLO. Sold to our friend Brian. Thank you. Model 76 Smith & Wesson 9mm Thanks Kevin! PS M10/9 S/N 23007305. Sold-thanks Dave. S&W 76 Model 76 S/N U3606 sold to our friend Bill. Thank you. HK51 S/N A036720. Sold. Thanks Carl! 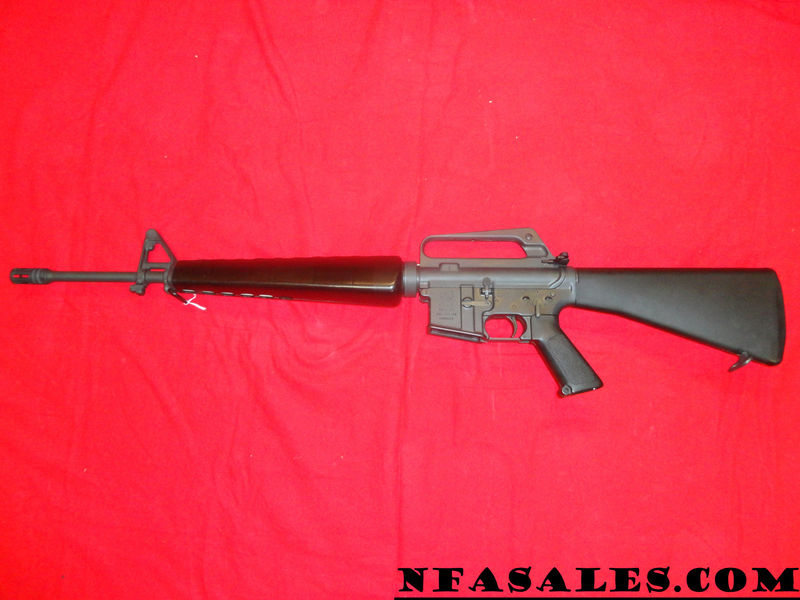 Factory Colt M16A1 S/N 9309666. SOLD-Thanks Martin. SWD M11/9 S/N 860010162. Sold-thanks Scott. 1928 Auto Ordnance .45mm Thanks Gene! SWD M11A1 S/N 853800357 NIB. Sold to our friend Christian. Thank you. M14 With Suppressor Winchester Gun & MAC Suppressor .308mm Thanks Gary! SWD M11A1 S/N 853800267. Sold to our friend Joe. Thank you. SWD M11/9 S/N 840003273. Sold-thanks Jeff. G3 H&K .308mm Thanks Mike! M16 stripped lower. Sold to our friend John. Thank you. 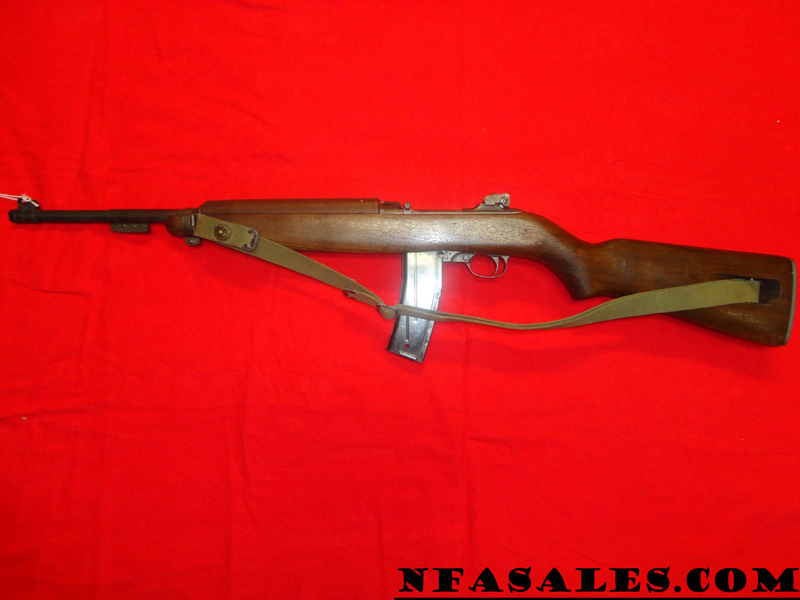 WWII Thompson S/N 549850. SOLD-thanks Don. Integrally suppressed Ruger MKII S/N 1406S. SOLD-thanks Frank. 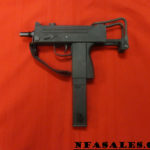 Vector Uzi S/N 103497. Sold. Thanks Scott. S&W 76 S/N U665. Sold-thanks Tom. 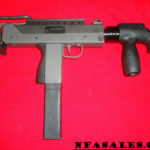 Powder Springs MAC 10 in .45. S/N 13003430. Sold-thanks Jeff. 1928 Thompson Auto Ordnance .45mm Thanks Bill! SWD M11A1 S/N 853800805. SOLD-Thanks Jeff. MP5 HK S/N 7624. SOLD-thanks Peter! AC556 S/N 19104319. Sold-thanks Matt. Colt SBR S/N LE02181. Sold-thanks Mr. F.
SWD M11 S/N 860012489. Sold to our friend Ron. Thank you! M16A1 Colt 5.56mm Thanks Mark! Sterling P.A.W.S. 9mm Thanks David! Sten S/N 11L2541. C&R. Sold. Thanks Eric. .22 AK S/N SA2101 . Sold-thanks Jack. DIAS DLO .223mm Thanks John! Thompson M1 S/N M405A. Sold-thanks Ed. Beretta 38A S/N G2396. Amnesty registered beauty. Sold. AC556 Sturm Ruger .223mm Thanks Jeff! 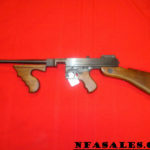 Premay Colt 1918A2 BAR S/N 19732. Sold-thanks Brian. M11 SWD 9mm Thanks Carlos! M16A2 S/N 8002366. Sold-thanks Chris. 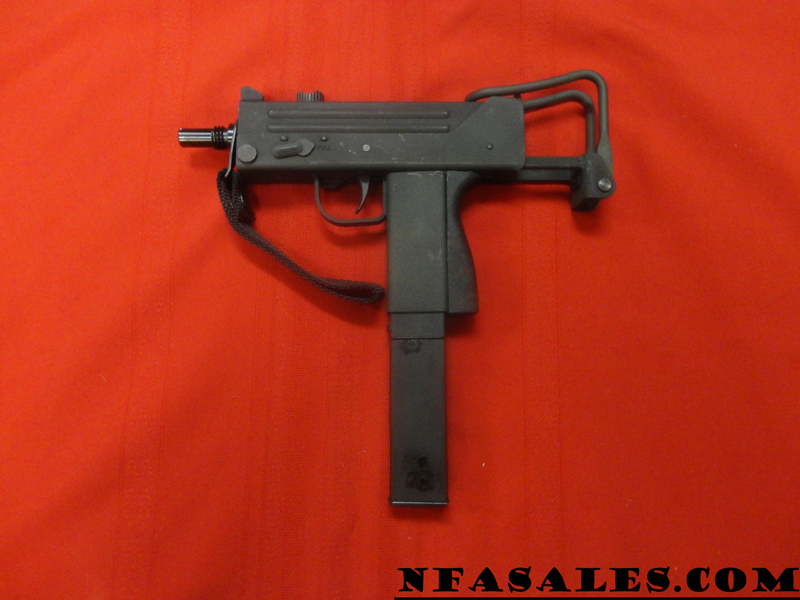 Uzi Vector Arms 9mm .22 .45 Thanks Tom! Sten S/N HF650 by Wilson Arms. Sold to our friend Adam. Thank you. Thompson WH S/N 982A. Sold to our friend Raymond. Thank you. 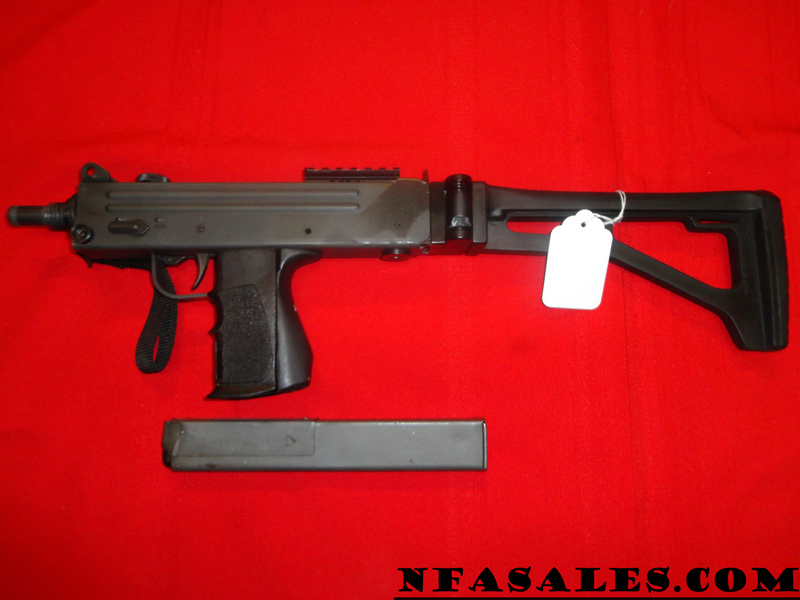 Uzi S/N 100438 by Group Industries. Sold to our friend Mark. Thank you. AC556 Sturm Ruger 5.56mm Thanks Roger! M16 XM177-E2 Frankford Arsenal .223mm Thanks David! M16 S/N Z6820. SOLD-thanks Sam! M2 S/N 7465418 Inland carbine. Sold to our friend Matt. Thank you. AC556 S/N 19104713. Sold-thanks Joel. PS MAC M10 45 SN 13001464 sold to our friend Tiny. Thank you. Spitfire S/N 4081. Sold to our friend Jay. Thank you. SWD M11 S/N 860006441. SOLD-thanks David. SWD M11/9 S/N 860011365. Sold to our friend Joshua. Thank you. SWD M11 S/N 860014098. SOLD-thanks Ian. SWD M11/9 S/N 860008649. Sold-thanks Ellis. 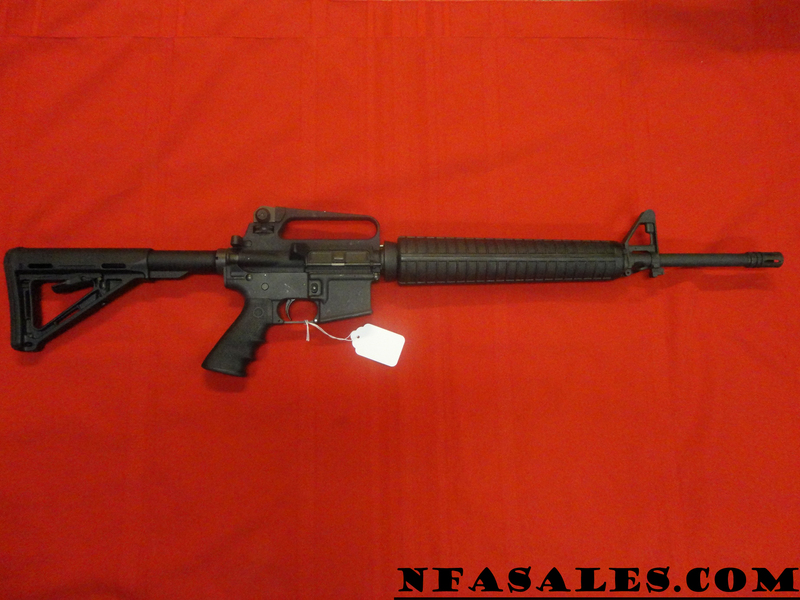 Colt M16 S/N 5107230. Sold to our friend Jay. Thank you! M2 Carbine Winchester .30mm Thanks Paul! 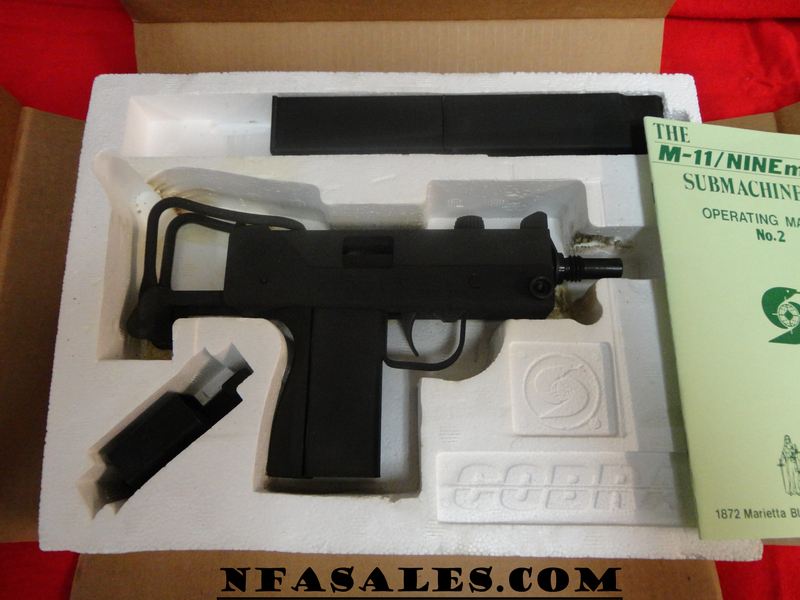 PS MAC 10 9mm S/N 22001982. SOLD–thanks Brian. 1921 Colt Thompson S/N 1939. SOLD! Thanks Tom! HK33 S/N K138. SOLD–thanks Nicky. SWD M11 SN 860012875 sold to our friend Ryan. Thank you. MP5K S&H Sear 9mm Thanks Richard! Reising Model 50 H & R .45mm Thanks Will! PS/RPB M10 S/N C80. Sold-thanks Paul. M1 Auto Ordnance .45mm Thanks Rick! MP5 S/N H3001. Sold. Thanks Colby. SG9 S/N S1329 suppressor. Sold-thanks Tom. SWD M11 S/N 860009341. Sold-thanks Robert! 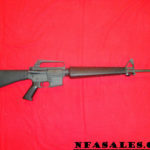 Sold M16 S/N 9051757. Sold. Thanks Jimmy. Ramo 1919A4 S/N 800123. SOLD-thanks John. M11A1 SWD .380mm Thanks Hal! HTA Micro Uzi S/N UP03135. Sold-Thanks Cody. Interested in selling? Looking for something specific? Contact us! John Thedford has been a federally licensed firearms dealer for nearly two decades now, and for the better half of that time John has successfully managed to maintain his business while dealing with weapons of the highest quality. 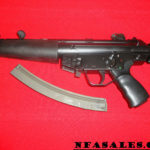 Through the buying and selling of hundreds of rare and exotic NFA weapons - from belt fed machine guns, Heckler & Koch weapons, M16s, and more - John’s knowledge and appreciation for the rich historical significance represented by these weapons has only grown over the years. And through it all, John has consistently proven how it is always his pleasure to be able to share his insight and experience with those who show interest in sharing his passion with him. Whether it’s providing friendly, professional service through an estate appraisal, a NFA consultation, or simply talking shop, John is eager to help. Once you shop with John, you’re as good as family! But for all new customers, whether they’re seeking information on NFA weapons, watches, or collectible coins, John wants to let them know he likes to keep things pretty simple: fair prices, honest answers, and the integrity to stand behind his products. You can call and ask John about the price of buying or selling your NFA weapons anytime - even if it’s just to feel sure you are getting a fair price. As a new collector, I did some research before buying my first gun. I found prices to vary by a wide margin. After 2 weeks of searching I found John Thedford AKA NFA Sales. John is a true professional, had the best prices I could find, and has the best return policy I could find. I encourage anyone considering buying or selling to talk to him. I am a small buyer with limited funds, but when I am ready, he is my go-to guy.